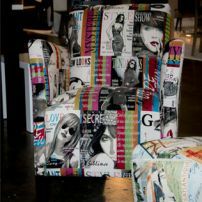 commented on "Stylish new themed fabric for chairs, beds, ottomans, wall hangings & scatters in Melbourne"
A must see! Ring today to make a time to see this stunning selection of themed fabrics. 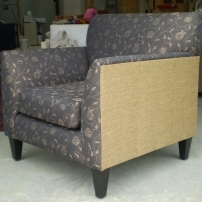 commented on "Warwick's Citi Chic a bold choice for your Arm Chair, Melbourne"
We can use this bold striking fabric on your JARO chair selection. 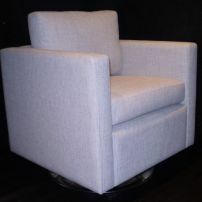 commented on "Andy Swivel Arm Chair"
commented on "Arm Chair Upholstery"
This arm chair has been upholstered in a modern two toned style. Let your imaginations run wild!